Why 2018 is a year for some to make amends, to some it's a year to explore and that means we will be having a lot to discuss and probably gossip about this year. 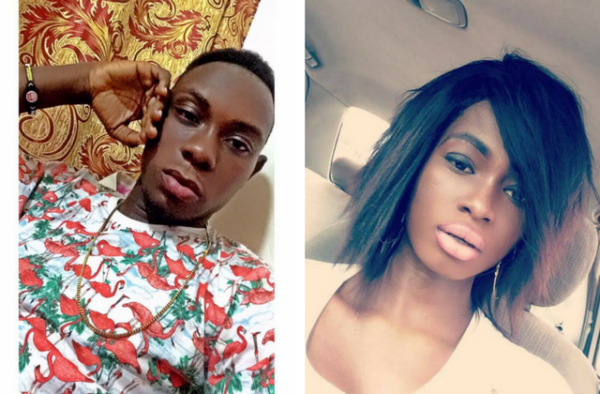 A lady identified as Angel Agbetornyo from Ghana is currently trending for the wrong reasons after she gave out sketchy details of how she got laid by a one-seconds man identified as Sparrow GH and went ahead to say that Sparrow can give head and deserves to be given an headies award. 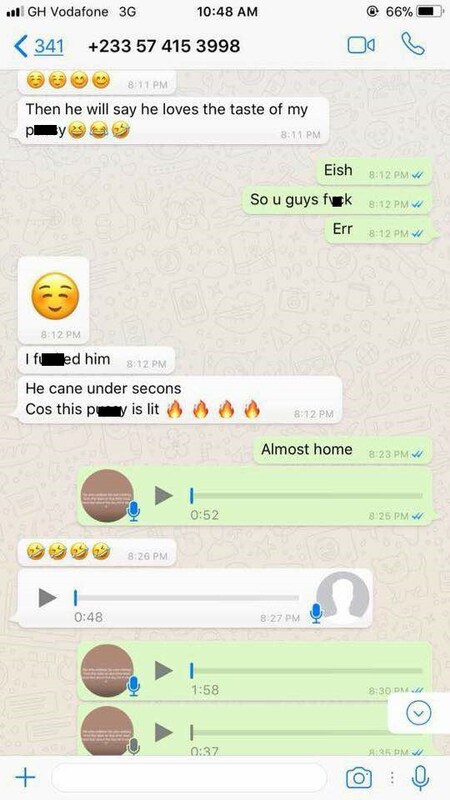 The lady who is probably feeling on-top of the world decided to tell one of her friend in Whatsapp as to what went down between her and Sparrow. 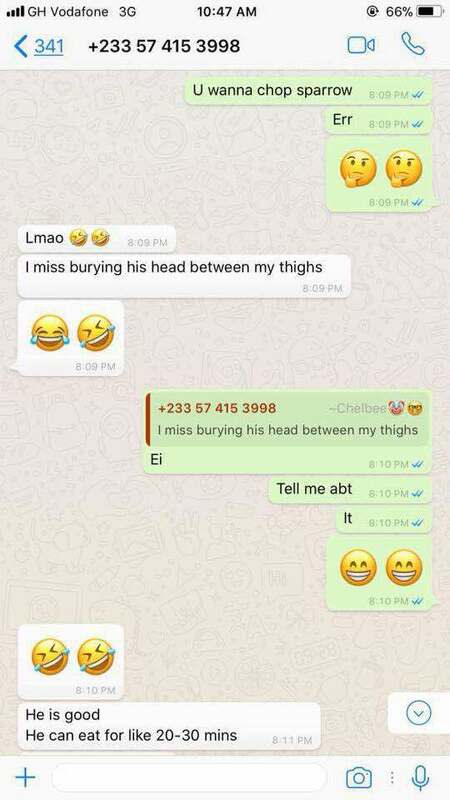 The chat on WhatsApp was then shared on the internet and it has since gone viral. According to Angel, Sparrow gives good head but is an early c-ummer. 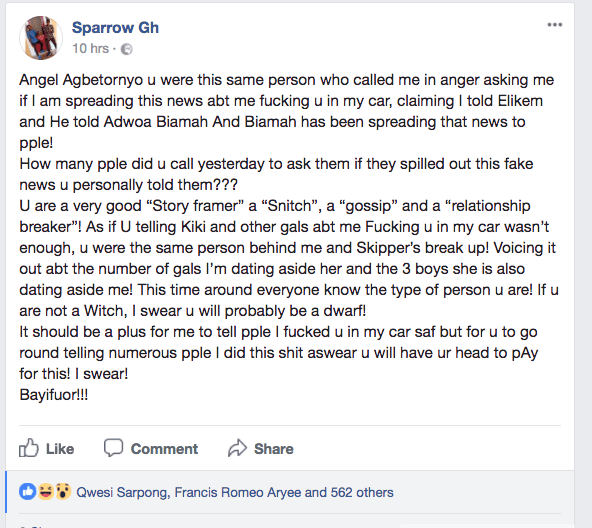 Sparrow however came across the leaked chat on the internet and was really angry about how the lady could tell a third party about their action, when he was supposed to be the person doing such. He actually came online to defend himself as well that he’s not an early “spiller” and even went further to threaten her.